People. 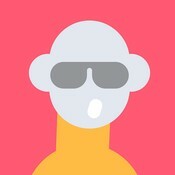 Set of people icons. waiter and visitor restaurant, family - father, mother and daughter. man rides a bike. porter with a trolley. 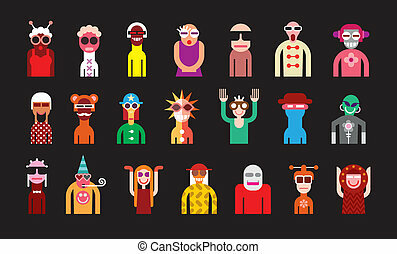 Set of people icons. Waiter and visitor restaurant, Family - father, mother and daughter. Man rides a bike. Porter with a trolley. People. 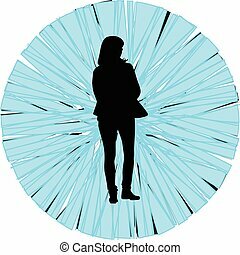 Art composition of abstract portraits - vector illustration. 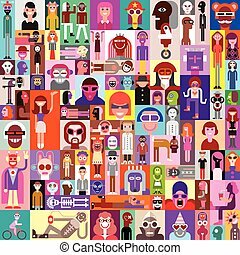 Large group of people - vector illustration. Black background. 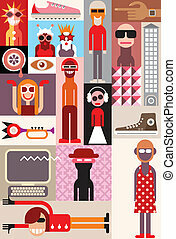 Vector illustration with various people on red background. 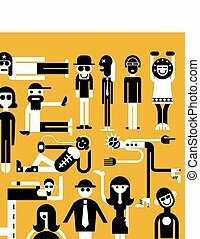 People vector illustration with yellow background. Graphic design elements. 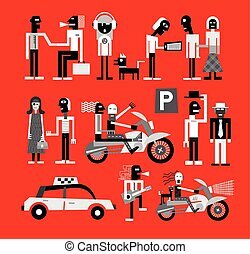 Group of people - vector illustration. Collage of different portraits. 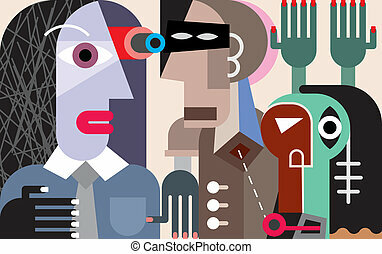 Bizarre people vector illustration. Art collage of different people portraits. Large group of people. 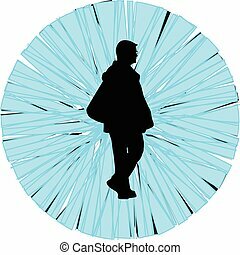 Art composition of abstract portraits - vector illustration. People. 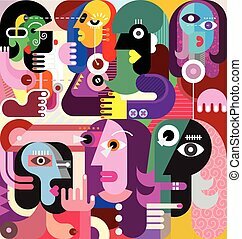 Art composition of abstract portraits. 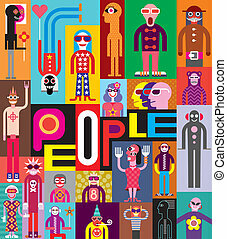 Vector design with text "People". 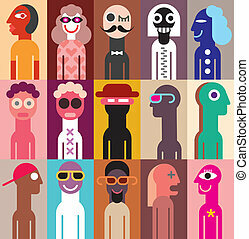 People Portrait set - vector illustration. Group of people in fancy dresses. 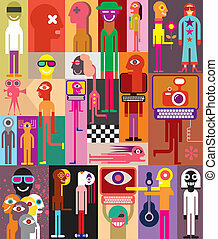 Large vector collage of various people portraits. Can be used as seamless background. People. 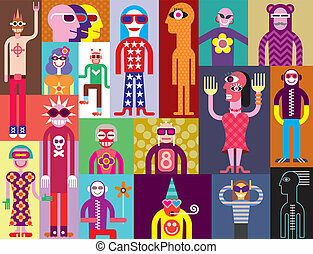 Art composition of different people. 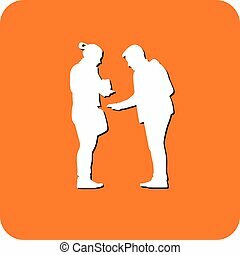 Graphic design with text "People". Vector illustration. A large company of people who have something to discuss. 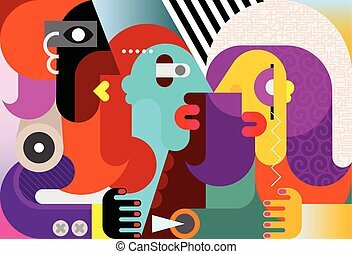 Modern abstract fine art illustration. 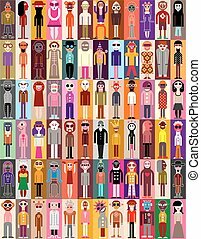 People - isolated vector icons on white background. 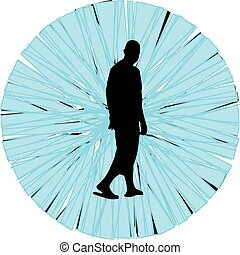 Abstract fine art portrait of Three People. 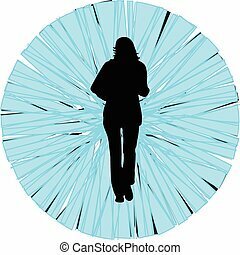 Three people - contemporary abstract art picture. Vector illustration. 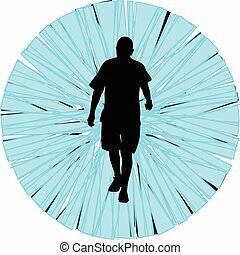 People in action - set of black vector icons on white background. Cash machine, ATM, PIN code. 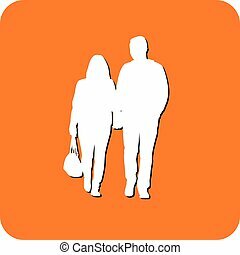 people - set of vector pictograms. 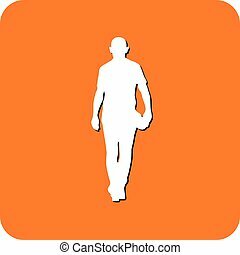 Isolated, black icons on white. 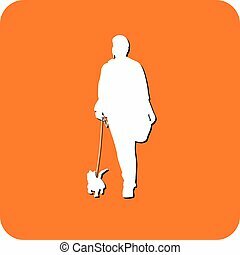 People - set of vector pictograms. Black icons on white background. Signs, isolated design elements. Simple. Set of vector icons (pictograms) on white. 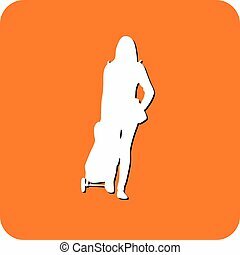 People at the railway station - set of vector icons. Black and white images. 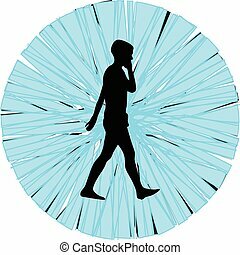 Man embarks on a travel. 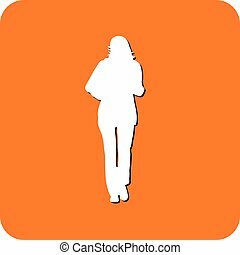 People at work - set of vector pictograms. 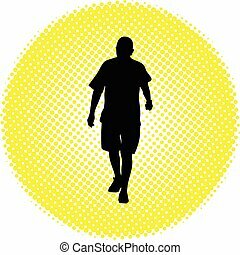 Black silhouettes ?? white background. Signs, isolated design elements. Simple. People at work. Set of simple vector icons. White on black. Woman vacuuming the floor. Man opened the door, throws trash. 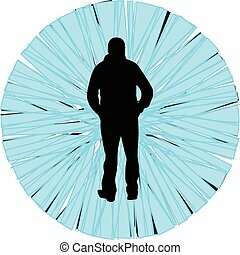 Man in an elevator. Fire extinguisher. Woman with a pram. 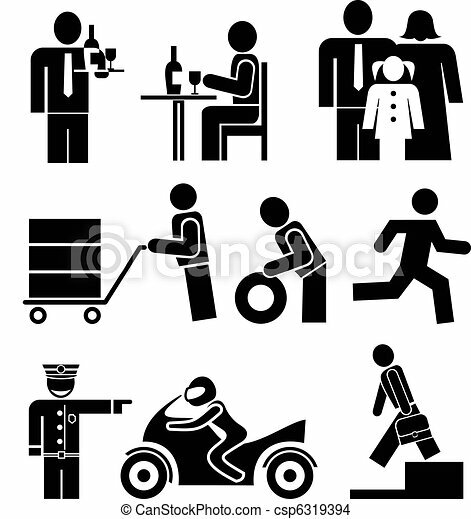 Set of vector pictograms. Black icons on white. 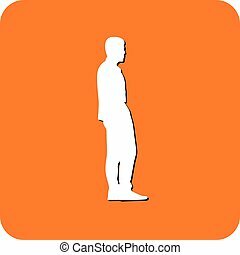 Simple pictures of people and objects. Set of vector icons for restaurants and cafe. 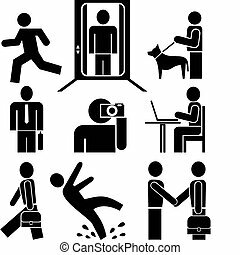 Pictograms - people at work. Waiter and Chef. Family.